Obama inherited an economy that was in need emergency resuscitation and he managed, in spite of a Republican Congress that vowed to sabotage anything he did, to nurse it back to health and pass a robust economy with a 4% unemployment rate on to Trump. Trump is riding the Obama wave and claiming... - Amirite? - Post your opinion and see who agrees. +3Obama inherited an economy that was in need emergency resuscitation and he managed, in spite of a Republican Congress that vowed to sabotage anything he did, to nurse it back to health and pass a robust economy with a 4% unemployment rate on to Trump. Trump is riding the Obama wave and claiming credit, I doubt he could have done as well. wars he did not start them. Why do I have to point out these facts. And all the homes that were lost, it’s hard to place the blame on any single institution there was so much corruption and incompetence to go around. Why can’t we have intelligent civil debates without resorting to cheap sarcasm and insults that do nothing that helps us understand each other. 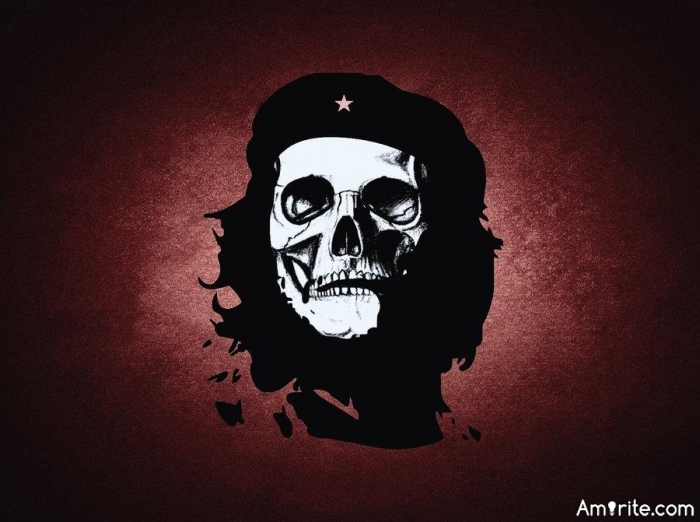 Freeing Che might be difficult, much as certain lefties would like to. Even if that was true...I'm glad Trump won and not Hillary. We would be in soup lines right now... and Obama would be getting blamed for not leaving anything for Hillary to work with. She very likely would have carried on the successful policies that had safely nurtured the economy. @Fizzyoid She very likely would have carried on the successful policies that had safely nurtured the economy. That's why she got elected....right? I remember my IRA dropping 40% in 2009 that was no fantasy. Lehman Bros. Went bankrupt that was no fantasy. Okay it was all the Democrats fault. Thank you. @Fizzyoid Okay it was all the Democrats fault. Thank you. At least you realise it. Good for you. Of course he should shoulder some of the blame. He deregulated the banks. But he also left office with a budget surplus. None, are you comparing that to the meltdown in 2008? For the same reasons Trump immediately started taking credit for anything good that happened. Very shortly after he was in office the market went up and he very vociferously claimed it. What’s with the bold caps? It just feels like you’re yelling at me. Have you ever heard any politician do that? Yes I lost a lot of money. My wife is in wealth management so those kind of things come home. I don’t remember Bush getting hammered for the economy as soon as he mwas in office. @Fizzyoid I don’t remember Bush getting hammered for the economy as soon as he mwas in office. I remember we had a budget surplus when he came in and an enormous debt when he left. Probably because he was blamed for what happened later and Irak. I’ve been around since Ike and things just don’t change with each new administration. So it’s crazy to get so worked up in ten years it will be like Watergate, old news. Obama did not spend his time blaming past administrations he just got to work. He was paid? They all are. @Fizzyoid Obama did not spend his time blaming past administrations he just got to work. He was paid? They all are. If you go on Youtube and search that matter, you'll find him doing a lot of blaming..
Of course if you put a favorable spin on them....It isn't so. I’ll take your word for it but it wasn’t the torrent of bile Trump serves up every week. @Fizzyoid I’ll take your word for it but it wasn’t the torrent of bile Trump serves up every week. I'll take your word on that too.. Okay discussions over mutt just proved it was the Democratic Party’s fault. That was easy. Soup lines? Selling pencils and apples on the corner. Oh yeah that’s what would have happened. @Fizzyoid Soup lines? Selling pencils and apples on the corner. Oh yeah that’s what would have happened. You have to click "Reply" before replying to someone. We'll never know...and that my friend, I'm glad to say..
@DandyDon You have to click "Reply" before replying to someone. We'll never know...and that my friend, I'm glad to say..
It’s impossible to have a debate with a crystal ball. I could make unreasonable predictions about the future too but that gets us nowhere. "Very likely" isn't a prediction to the past...Is it? You're already getting us nowhere. @DandyDon "Very likely" isn't a prediction to the past...Is it? You're already getting us nowhere. No but it's not like predicting that had Hillary been elected there would be a depression like 1929 or 2008. I never liked BO if he had an easy to remember name that would have been better. The president has almost zero control over economic indicators. Those indicators are prepared by various offices, and they are not going to publish anything that causes embarrassment to the administration. The president is like the figurehead on the bow of a boat: no control over where the ship goes, but always the first one to arrive. How come their are more hispanics and blacks working now,then when Obama was President ? @hootowl How come their are more hispanics and blacks working now,then when Obama was President ?